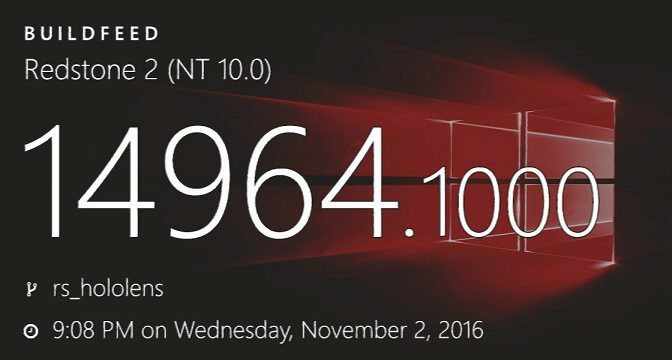 Windows insider team is now testing Windows 10 PC build 14964 and mobile build 10.0.14964.1000 internally. The build was compiled on November 2, 2016. Microsoft is also rolling out new insider build 14959 for fast ring members.